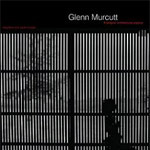 A Daily Dose of Architecture Books: Oeuvre Kaput? Over at Architectural Record, Martin Filler asks, "Is the architect's monograph our latest endangered species?" His wording "architect's" is very precise, as he rightly points out that "monographs on contemporary firms are heavily subsidized or wholly underwritten by their subjects." Or to put it another way, they are not monographs on architects, they are monographs by architects. Yes, Le Corbusier fashioned his own Oeuvre Complete -- including the layout -- between 1929 and 1970, yet it would be hard-pressed to compare today's monographs to Corbu's influential eight-volume series. So, to use Filler's words again, are succeeding monographs "little more than glossy hardcover promotional brochures to entice an uninformed and impressionable lay clientele?" Not all of them, of course. As a way to state what monographs can offer in the way of quality presentation and worthwhile writing, below are some choice post-S,M,L,XL (another important title also mentioned in the article) monographs. I'd certainly acknowledge that other monographs are as good or better, but I've limited the selections to my own library, since the book's physical nature is so important to its appreciation. Also memory can be misleading, so revisiting the below titles reinforced their qualities while removing others from consideration. So here's my top ten (something I've wanted to do for a while but needed an excuse for) in order of publication date. 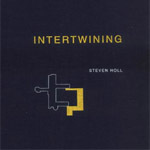 Steven Holl's second monograph, spanning works from 1989 to 1995, cannot be thought of as a standalone book; it is really an extension of Anchoring, his extremely popular first monograph from 1988. They share a square format, linen covers, a consistent layout, and Holl's polemical writing that mapped out the ideas that still shape his architecture. He's produced many books since these two, but it wasn't until 2009's Urbanisms that all of these characteristics returned. 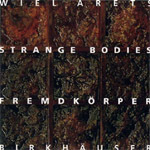 This large-format (12" square) yet slender (114 pages) monograph on Dutch architect Wiel Arets is a careful assemblage of drawings, photographs, and text. The first, the architect's signature graphite perspectives, are few but often full-page; the second, by Kim Zwarts, are mainly black-and-white, with an emphasis on the dark tones; the third is consistently across the top of each page, like a ticker in Dutch and English, with essays by Stan Allen, Elizabeth Diller, Ben Van Berkel and Caroline Bos, Kenneth Frampton, and others. This book is also personally significant, for the architect gave it to me after a trip to the American Midwest in my college days. 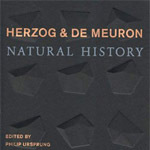 Is this monograph really that good, or does its inclusion here stem from the steep prices this out-of-print title fetches? 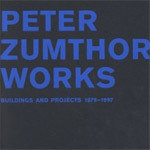 It's not easy to separate the price from the contents, but I think the appeal stems from Zumthor's mystique more than the book itself. Regardless, the monograph embodies simplicity and consistency in presentation, with minimal text and large photographs by Hélène Binet, most in black and white. It's not really worth the inflated prices, but it's a delight for those enamored with Zumthor's architecture. This book's small format, combined with the black-and-white photos and simple drawings throughout, goes hand in hand with the modest designs of W.G. 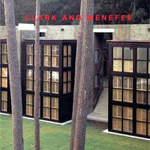 Clark and Charles Menefee. Writings by Clark accompany Jensen's descriptive text. The book is out of print and hard to find. 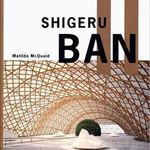 Shigeru Ban is known best for structures made from cardboard tubes (a monograph devoted to his "paper in architecture" was released in 2009), a material requiring numerous tests before being implemented in Japan and elsewhere. Some of those technical tests are gathered here, as well as others on bamboo, wood, and prefab construction. Without these gray pages inserted between projects the book would be a fairly standard monograph; with them it gives insight into practice that other titles, regardless of architect, tend to omit. Like the monograph on Shigeru Ban above, this one on Australia's Pritzker Prize winner benefits from the supplemental material, the sketches and working drawings by Murcutt that comprise the book's third section. These range from concept sketches to plans and details. In the project section of the book, the photos and more sketches/drawings are accompanied by text by both the authors and Murcutt, something that makes me wonder why more monographs don't do the same. At the start of the book are essays by the three contributors, including a walk through Murcutt's working process via sketches and drawings that is particularly illuminating. 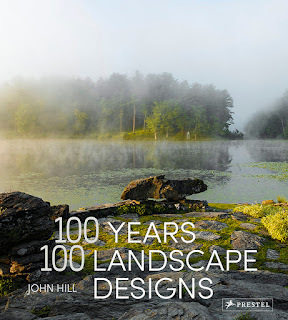 This book hardly resembles a traditional glossy monograph, the main reason being that it accompanies an exhibition at the Canadian Centre for Architecture. In both exhibition and book insight is given into the Swiss super duo's working process over their completed buildings, via a presentation of sketches, study models, and related artifacts. Glossy sections alternate with heavyweight matte paper (at least in the hardcover copy I have), the latter used for essays and interviews. It's ironic, and refreshing, that a book without color photos of completed buildings would give the reader such a great understanding of their architecture. Renzo Piano's career is treated like Le Corbusier, with monograph following monograph. 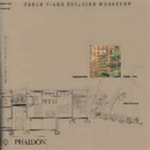 If any contemporary architect is deserving of this it is Piano, whose output is varied and marked by significant commissions that coincide with the sequential titles. At the heart of Volume 4 is the Tjibaou Cultural Centre, a masterpiece in New Caledonia. This and the other titles (now at 5 volumes) are highlighted by thorough documentation and top notch writing. The subtitle of BIG's monograph is "an archicomic on architectural evolution," and that's exactly what it is. 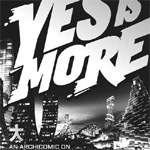 A comic book with diagrams, renderings, photographs, and Mr. Ingels inserted into many of the "cells" works to explain their projects better than a traditional monograph format could have. Other architects might be inspired to adopt a comic format, but they'll probably realize that while it's appropriate for BIG it probably won't work for them. 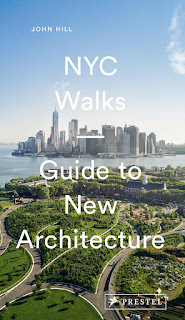 The name of this book is also the name of Kevin Mark Low's architectural practice. The Malaysian architect creates modern-day spaces in the spirit of Arts & Crafts, designing and fabricating pieces like stairs, furniture, and even dish racks. As I said in my review, "Low's sense of craft and control extends to this monograph, which he also designed and set, dealing with everything from fonts to page size and layout." It follows the traits of the glossy monographs that Filler alludes to, without the gloss and with a thorough documentation and control that it becomes a good precedent for a way forward.